Following the global launch of K-LIFE, the brand is now coming to Madrid and Barcelona. 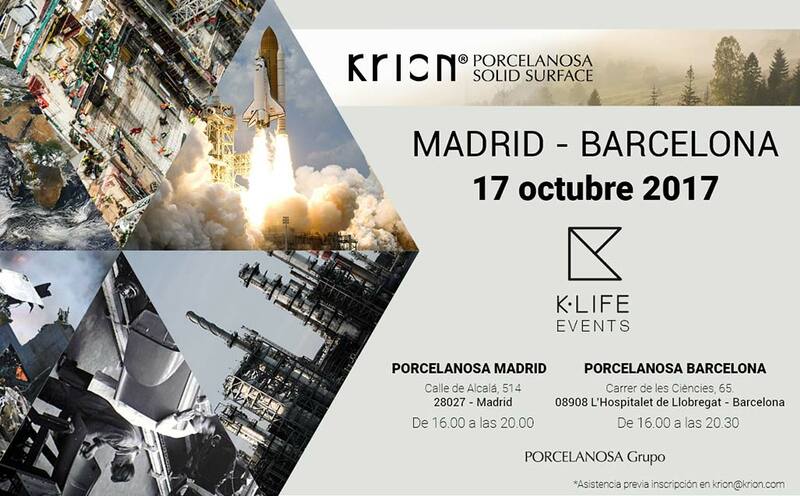 Next 17 October, the PORCELANOSA premises in Madrid at Calle de Alcalá number 514 and near Barcelona in the town of L'Hospitalet de Llobregat at Carrer de les Ciències number 65 will be hosting simultaneous presentations. Pre-registered visitors will get the chance to discover first‑hand what KRION K-LIFE can do to make their lives better.